A Comprehensively Refurbished And Substantially Extended Four Bedroom Semi Detached Home With In A Short Distance Of Solihull Town Centre. Internal Inspection Is Highly Advised To Appreciate The Spacious And Luxurious Accommodation Throughout. In Brief The Property Offers; A Welcoming Entrance Hallway, Formal Dining Room, Spacious Lounge, High Specification Fully Fitted Kitchen With Feature Island And Bi-Fold Doors, Utility Room, Four Double Bedrooms And Quality Finished Principle Bathroom And En-Suite. 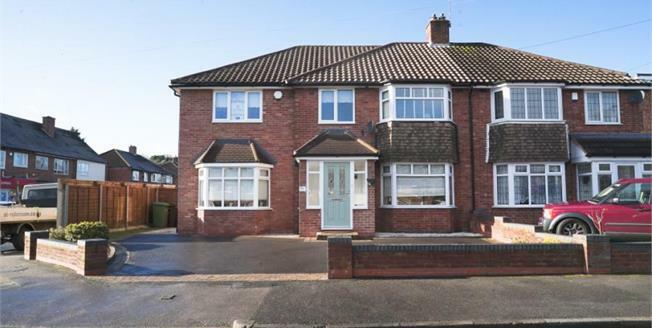 Externally The Property Benefits From A Driveway, Rear Garage An A Landscaped Rear Garden.